KWZ Series suit for production line that is differ in sizes and irregular in shapes. It can achieve unmanned strapping while fix power conveyor, which adopt firm, durable, high-efficient KZ mechanism as main body, with lubrication-free maintenance, firm strapping, high speed and long using life. Adopt table-board driving belt, lifting available driving mechanism with easy maintenance. Special belt supplying and withdrawing track can enlarge the strapping range and save the packing cost. Adopt man-machine interface and PLC control, full digital manipulate, so as to make the parameter easy changing and steady operation. 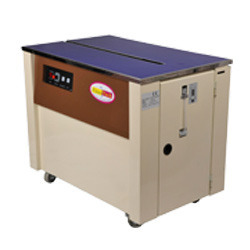 Leveraging on the skills of our professionals, we are involved in offering best quality of Automatic Strapping Machine. This Automatic Strapping Machine is extensively used for all kinds of strapping and packing requirements. Further, we ensure to deliver these products in various places all across the country on given time frame. 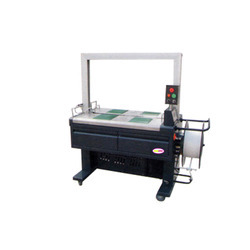 FINEPACK SEMI AUTO STRAPPING MACHINE MODEL FP 90 DU is one of the best strapping machines available in the market. these machine are very reliable and the design is very sturdy and mostly suitable for long and continous operations. 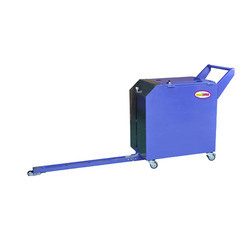 This machine has a durable electro - magnetic clutch transmission which increases the motor life, strapping speed and reduces the overall machine noise. Stain Steel frame is available as optional for strapping moistreised products. FINEPACK SEMI AUTO LOW TABLE STRAPPING MACHINE MODEL FP 90 L is one of the best strapping machines available in the market. these machine are very reliable and the design is very sturdy and mostly suitable for long and continous operations. 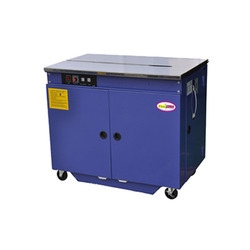 This machine has a durable electro - magnetic clutch transmission which increases the motor life, strapping speed and reduces the overall machine noise. Dual motor structure. Operation possible, a large bundle of compact power instant heating, tied with a speed of 2.5 seconds/strap. Keeping in mind the changing requirements of the customers, we are involved in offering best quality of Side Strapping Machine. This Side Strapping Machine is highly appreciated amongst our customers due to its premium quality and hassle free performance. Moreover, our products are highly tested for their quality assurance. 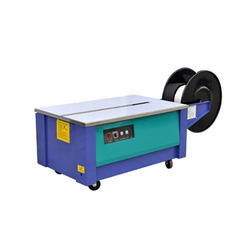 A wide assortment of Table Type Strapping Machine is offered by us to our patrons at market leading prices. 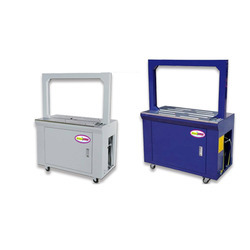 Model FPT is suitable for packing small packs such as bank notes, financial documents, parcel post, press work and gift etc. It is widely used in different fields such as post office, bank and book store. 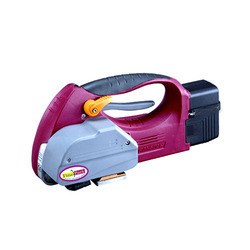 Battery operated Pet Strapping Tools are widely used in the export enterprises of iron, textile, foodstuff, merchandise, etc. 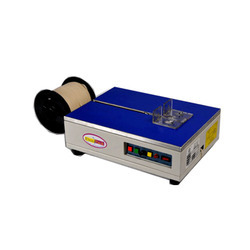 These Pet Strapping Tool adopt PET straps, which not only finishes a solder in a high speeds, but also is a high-tension, environment friendly solution for strapping. PET strap is a kind of new environmentally friendly strapping material to substitute steel strap and PP strap. 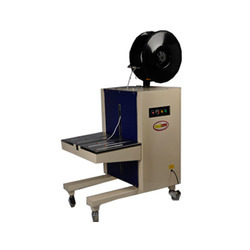 With the year of experience, we are involved in offering best quality of High Table Strapping Machine. This High Table Strapping Machine is extensively used in varied packing areas and shipping sectors in suitable applications. Further, we ensure to provide unmatchable quality products to customers at market leading prices. FINEPACK SEMI AUTO STRAPPING MACHINE MODEL FP 90 is one of the best strapping machines available in the market. these machine are very reliable and the design is very sturdy and mostly suitable for long and continous operations. 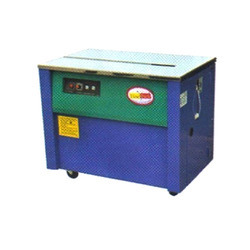 This machine has a durable electro - magnetic clutch transmission which increases the motor life, strapping speed and reduces the overall machine noise.